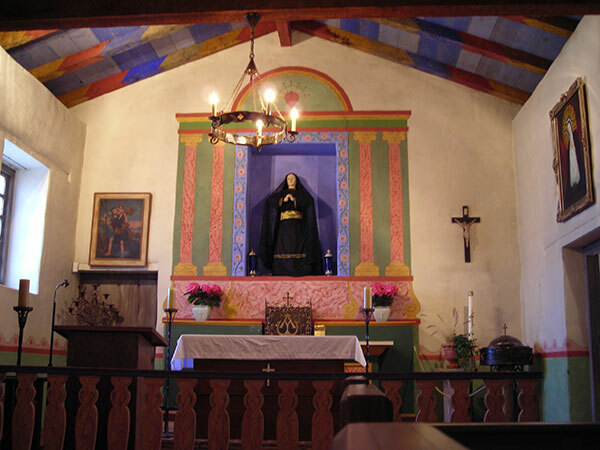 Mission Nuestra Senora del la Soledad. Photograph by Robert A. Estremo, copyright 2004. License: cc-by-sa-2.0. The name of the mission – Our Lady of Solitude – came about due to a misunderstanding. The Spanish missionaries encountered a party of Indians and asked their name. The Indians responded with a word that the Spanish heard as Soledad, or solitude, and this determined the name of the mission. The location was indeed isolated. During its existence, the mission went through 30 Friars, most of whom requested transfer after a year or less. 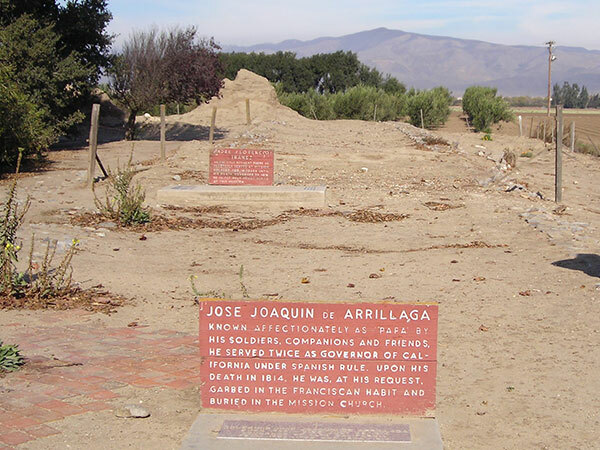 The mission was also plagued by repeated flooding from the nearby Salinas River, and a smallpox epidemic killed Indians by the hundreds. 1859 – Mission returned to the Catholic Church by President James Buchanan. 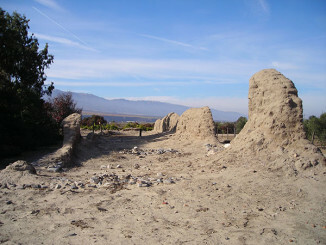 Today visitors can see archeological excavations, the remains of a few mission buildings, and a small museum. There is also a simple adobe chapel, built in 1832, and reconstructed in 1954. Colorful paintings and wall decorations can be seen on the interior and exterior walls. The mission bell that hangs outside the church is a replica of the original bell. The original bell itself, cast in Mexico City in 1794, can be seen inside the museum. 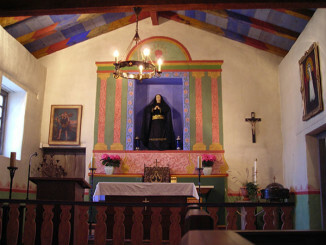 Interior of the mission chapel.